SINGAPORE – Gold held firm near $1,190 an ounce on Monday, supported by uncertainty over the Greek debt crisis, but the metal was unable to build on small gains in the past three sessions due to a strong dollar and the prospect of higher U.S. interest rates. Spot gold was steady at $1,190.25 an ounce by 0322 GMT after earlier climbing to a session peak of $1,196.35, its highest since May 26. The metal has ended the past three sessions on a positive note but has only gained about 0.3 percent in that period. “With gold’s technicals looking neutral and fundamentals mixed, we think prices will continue to trade uneventfully in June and see a $1,160–$1,230 trading range prevailing,” INTL FCStone analyst Edward Meir said. “Greece and global equity markets remain the perennial wild cards,” Meir said. Athens and its euro zone and International Monetary Fund creditors have been locked in talks for months on a reform programme. Without a deal, Greece risks default or bankruptcy in weeks, a possibility that has supported gold prices to an extent. Athens missed a self-imposed Sunday deadline for reaching an agreement to unlock aid, sources close to the talks said. Gold is seen as a safe bet during times of financial and economic uncertainty. But gains in the metal were capped by a robust dollar, which has been strengthening on expectations the U.S. Federal Reserve would soon raise interest rates from record lows. Higher rates would reduce demand for non-interest-paying bullion. Investors shrugged off data on Friday showing the U.S. economy contracted in the first quarter, figures that were seen as backward-looking and unlikely to derail the prospect of an interest rate hike later this year. 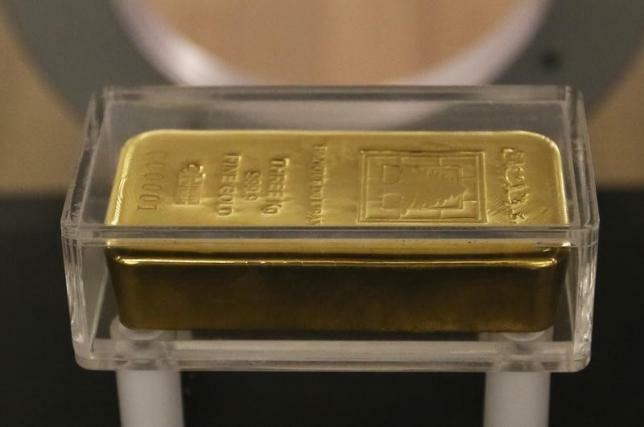 In a reflection of investor sentiment in bullion, hedge funds and money managers cut their bullish bet in Comex gold during the week ended May 26, U.S. Commodity Futures Trading Commission data showed on Friday. Gold could soon drop below the key technical level of $1,185, MKS Group trader Jason Cerisola said.